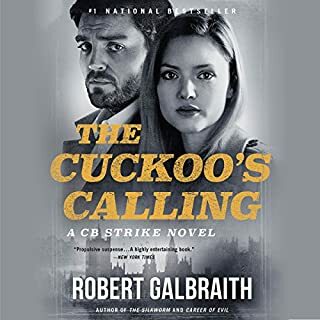 Private investigator Cormoran Strike returns in a new mystery from Robert Galbraith, author of the number-one international best seller The Cuckoo's Calling. When novelist Owen Quine goes missing, his wife calls in private detective Cormoran Strike. At first, Mrs. Quine just thinks her husband has gone off by himself for a few days - as he has done before - and she wants Strike to find him and bring him home. But as Strike investigates, it becomes clear that there is more to Quine's disappearance than his wife realizes. The novelist has just completed a manuscript featuring poisonous pen-portraits of almost everyone he knows. If the novel were to be published, it would ruin lives - meaning that there are a lot of people who might want him silenced. 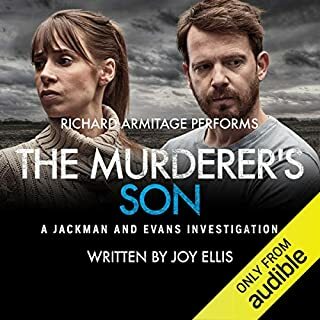 A compulsively listenable crime novel with twists at every turn, The Silkworm is the second in the highly acclaimed series featuring Cormoran Strike and his determined young assistant, Robin Ellacott. This is the second installment for this series and it really does keep getting better. I highly recommend this series to everyone. Its not just a private eye story. The character development continues and the respect between Robin and Strike grows. I like how Robin is more than just a secretary. She is learning from Strike. The plot didn't make quite as much sense to me as Cuckoo's Calling, but still a powerful, interesting book with really well drawn characters, and Glenister's best performance yet. 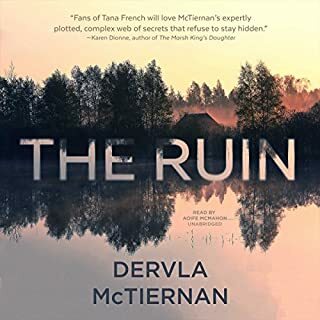 I thoroughly enjoy the characters, the pace, the extraordinary descriptions of places and settings, and the narrator does a sterling job! What’s not to like? Well written, suspenseful entertainment . Great storytelling and a great performance make this a really satisfying listen. I enjoyed it thoroughly. A certain amount of gruesome in this, but I still quite enjoyed it. I like the main character and I really enjoyed the narration. At first, I was a bit annoyed at the relationship between Robin and her fiance, because he's such a jerk, and I had trouble taking her concern for him seriously. But then I reflected that I've known a number of similar relationships in real life, so...sigh. Loved that the author didn't feel the need to rehash the first novel. The story was excellent and really kept my interest. I love how Robert Glenister narrates with the subtle voice and accent changes. H is never jarring or overly animated. 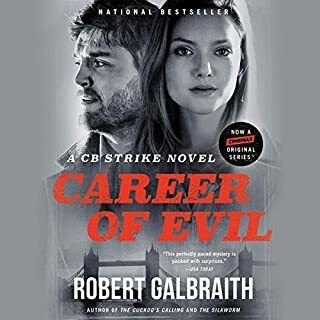 I loved this second volume in the Cormoran Strike series only slightly less well than the first, but only because of a few slightly implausible story elements in the final moments of the book. Otherwise, in some ways, Silkworm is an even grander achievement than its predecessor, Cuckoo's Calling. Here, Rowling draws on her extensive knowledge of Elizabethan and Jacobean revenge tragedies (gleaned during her studies in English literature) as she crafts the most literary detective fiction you've ever read. Non English majors will learn a lot about Renaissance drama, and English majors will be seriously impressed. I'm eagerly downloading the next volume in the series as I write this. 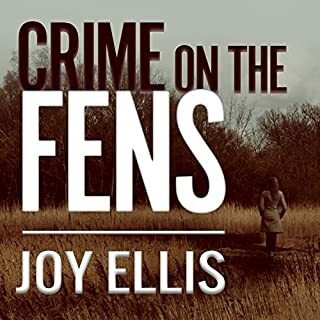 I recommend this book to all mystery fans, with only one caveat: A strong stomach may be an asset during a few descriptive passages about the crime scene. 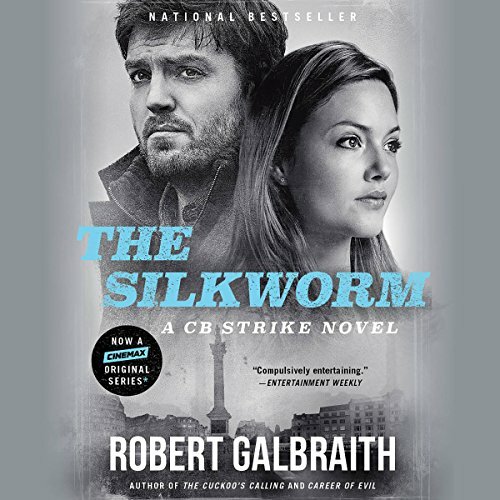 "The Silkworm" (Rowling's 2nd mystery under the nom de plume Robert Galbraith), continues with the character development begun in "Cuckoo's Calling" of Cormoran Strike (war hero, illegitimate son of a rock star and struggling PI with one prosthetic leg, courtesy of the Afghan theater) and Robin, Cormoran's temp secretary turned Girl Friday/Dr. Watson. I love that Galbraith/Rowling makes Cormoran a bit misanthropic and surly and not some unrealistic, noble hero. His imperfections make him all the more likable. And the icing on the cake -- a twisty mystery with multiple plot arcs, replete with engaging characters. Rowling proved to the world that she can write YA fantasy -- well, she has proven to me she can write mysteries irrespective of which name appears on the cover. 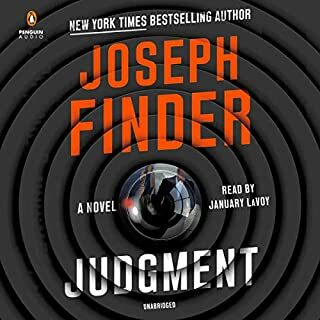 And the narrator, Robert Glenister -- PERFECTION! 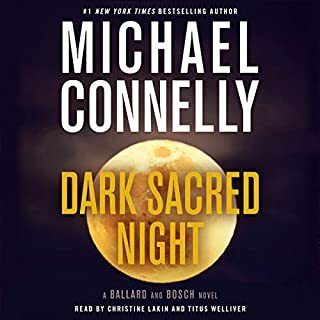 His range is incredible despite is deep voice, he manages not to make the women sound campy (like some male narrators do.) I plan to search for books narrated by him so I do not have to wait until the next Robert Galbraith novel appears. The worst part is I have started and stopped several books since I finished "The Silkworm" -- it is a tough act to follow. I'd make out with Cormoran.. Yes, I would. I bought this book as a daily deal, and then didn't listen to it for months, and I'm not sure why. I think the cover was just less appealing and I had other books ready to go. I regret not reading it before, because I really enjoyed it. Obviously, Cormoran, the narrator had a specific way of narrating his tone that I really enjoyed. In this second novel, Ms. Rowling sets her admirable and dogged detective loose into the cutthroat world of publishing. Cormoran Strike, aptly named after the Cornish giant of “beanstalk fame”, embodies the best traits of the archetypical detective: relentless, curious, and practical - without ever slipping into the dangerous territory of the stereotype. As a retired solider, amputee and keen observer of human nature, Cormoran Strike is a refreshing addition to an old and familiar genre. 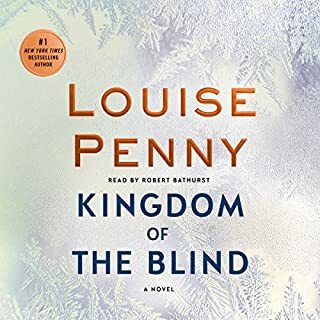 The story begins a few months after the conclusion of the infamous Lula Landry murder, when a taciturn Leonora Quine arrives at Strike’s office demanding he find her vanished husband. Despite no reasonable assurance of payment, Strike takes her case (it is after all, an aberration among a workload of philandering spouses). Along with his assistant/protégée Robin Ellacott, Strike cuts a wide, weary swath through frigid London streets in pursuit of the missing author Owen Quine and answers to a bizarre and brutal mystery. Rowling is a master of observation. 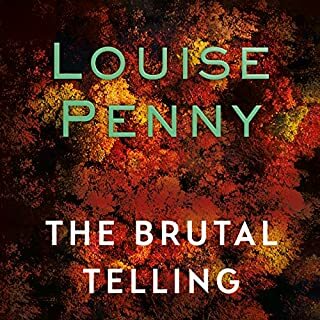 Among references to Jacobean horror stories and nested narratives, she builds characters that are at once fantastical and unflinchingly revealed. 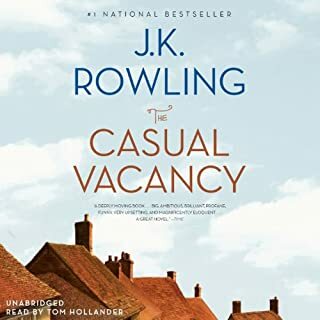 From the raspy voiced, domineering book agent to the closeted and alcoholic publishers, from the self-pitying self-published to gratingly solipsistic established authors - she paints her cast in vivid colors and none is spared from Rowling’s incisive prose. The mystery unfolds in a manner reminiscent of old fashion detective stories - Strike never actually whips out a hand lens, but it’s a close call. 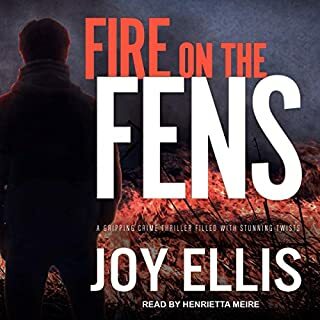 He and Ellacott take to the streets to interview suspects, dig for clues, turn up red herrings and into dead ends, until finally bringing the audience in for an eminently satisfying conclusion. It seems that Ms. Rowling has seven books planned for the series (her lucky number perhaps?) and I for one am stoked. Cormoran Strike and Robin Ellacott are unlikely partners and deeply sympathetic characters. I have no doubt that they will continue to delight audiences for years to come. Even as it goes through the motions of standard detective fiction, this second Cormoran Strike novel admirably expands upon the well-rounded central characters established in The Cuckoo's Calling. 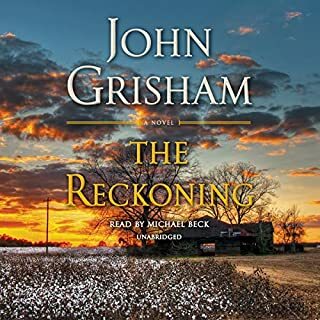 As a former soldier and a natural detective, Strike lends himself to comparison with Lee Child's Jack Reacher, but where Reacher is personalized with a few token interests (notably coffee and mathematics), Strike is painted with softer strokes. He's introverted, yes, but his contact list defies the easy-to-apply label 'loner'. He is vexed by his family, but he embraces them with more than a mere sense of duty. He feels the desire to have a couple pints with lunch, but he recognizes the formation of bad habits and avoids them with some effort. His receptionist-turned-protégée Robin proves to be equally well-rounded, particularly with respect to her fiancée. In a clumsier novel, her engagement to a side character would be nothing more than a burden for Robin to shed in the name of character growth. In Ms Rowling's nuanced world, however, the relationship is a genuine reflection of Robin's increasing confidence, and it bends and adjusts to her development with impressive realism. Whether or not the relationship will or should survive is far from a given. Yes, the plot is fine too—it'll scratch the itch for those that crave a mystery to solve and concludes with reasonable coherence—but mystery plots are a dime a dozen. Characters like Cormoran and Robin are not. 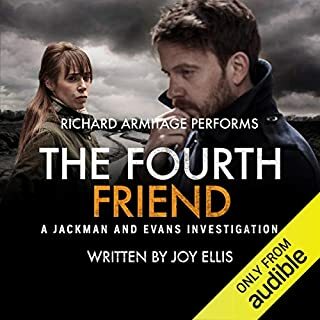 Robert Glenister is well suited to this series, managing to narrate with both a seriousness and a lightness that matches Ms Rowling's remarkably well-balanced voice. Galbraith seems to be developing a pattern for the post Harry Potter books. It's great that Cormoran Strike continues to be the protagonist, as he is both a "character" and unique among private eyes. Robin Ellacot, as Cormoran's assistant, also adds significantly to the character development which for me is the heart of any novel, even mysteries. In fact, the Cormoran-Robin relationship is for me the best part of the book, and seems both plausible and complex. Beyond the detective-sidekick relationship, Galbraith relies on three common ploys often displayed by detective novelists: (1) The reader is presented all at once with a complete nest of suspects. Nothing wrong with that. Some authors drag out the presentation of prospective bad guys, but the early introduction of the whole lot gives the reader plenty of time and pleasure to analyze each character for possible motive and opportunity. (2) The detective has an "Aha!" moment, based more on intuition than fact, but then doesn't reveal it to the reader or even to his close associates, let alone the police. (3) The detective, needless to say, proves more insightful than the police. All three of these factors are staples of the Agatha Christie oeuvre. I cut my mystery-reading teeth on 30 or 40 of Agatha's books, but eventually tired of the basic themes. Miss Marple was delightful, and I always sided with her as she sipped tea and outwitted the police, but that formula did become a bit shopworn after the first few dozen novels. Also, Agatha's protagonists invariably withheld information till the last minute, then revealed all in a stunning burst of logic and unprecedented detection. In those ways, then, Galbraith seems to be following in the footsteps of Agatha. Both the London scene and the preponderance of book-publishing characters contributed to my enjoyment of this book. I look forward to spending many more hours with Cormoran Strike, and hope the author will promote Robin to an even more prominent place in detection. In this second of Galbraith's (aka JK Rowling) Strike series, the pace is inchworm slow. There was much filler through the use of a book within a book. And that book is pornographic at best. And we, as readers, have to be told what each allusion within the second book means since we have no idea of the characteristics of the people it refers to. And that's because we don't know the circle of fictional publishers it references. Galbraith has liberally borrowed from other classic mystery writers to develop the plot and even the end scene to write this cozy mystery which is not nearly as good as the first book in the series. I kept reading in the misguided notion that the pace would improve only to be disappointed hour after hour. While the characters are intricate and well done, there is only so much we can take about Strike's poor care of his leg and Robin's continued inability to express herself. If she can't express herself, how can she have enough assertiveness to become a detective? 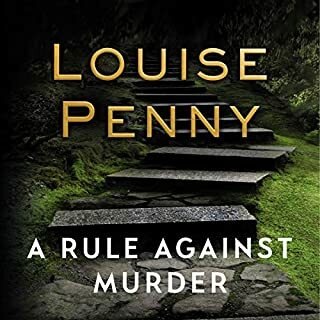 While I did not enjoy this book nearly as well as the first one, its chief failing is not giving the reader sufficient information to attempt to solve the mystery along with Strike and Robin. Perhaps others could sniff out the few scattered clues and finger the murderer along with Strike, but for those of us who need a few well placed clues to keep us at least guessing, this failing contributed to the overall dullness of the book. 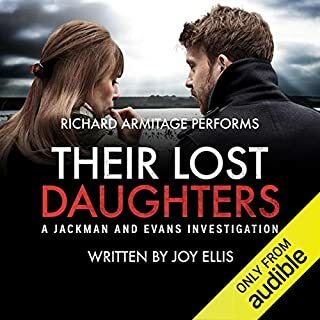 Robert Glenister, the narrator, however, is excellent. He makes each character stand out by reading this novel with a good range of voices and tones, both male and female. I realize this review is in the minority. But that's to be expected in the reading community. We all like and dislike different things. For me, one of the joys of a sequel, especially when it has been announced that there will be at least one other to follow, is the comfort I develop with the characters as they bloom. From their humble beginnings in Cuckoo's Calling, Cormoran Strike and his Watson-esque side-kick Robin Ellacot felt like people I wanted to spend more time with. 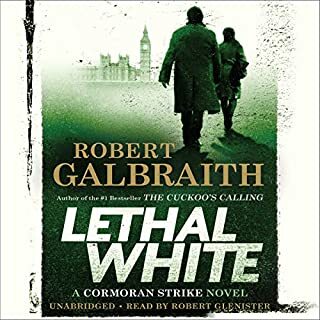 Knowing Robert Galbraith's talent for character development (consistently captivating us through 7 volumes penned under Galbraith's nom de plume of J.K. Rowling), continuing on from Cuckoo was a given which paid off. The duo is back on the case looking for novelist Owen Quine who has gone missing since writing a scathing quasi-fictional manuscript that paints his associates in the publishing world in the darkest tones possible. When his body is found, elaborately murdered in a ritualistic play that mirrors Quine's manuscript, his colleagues are all suspect. Here Galbraith shows her/his wonderfully inventive mind creating the eccentric characters and names as colorful as the residents that populated the Potter series. She also pokes some good-spirited fun at the publishing world that she reigned over in her rise to a billion dollar author. Even as *Galbraith* JK's talent is distinct, and a pleasure to read. It flows effortlessly, carrying the reader along through a world Rowling always seem to thoroughly inhabit in all of her writings and incarnations. This style is her strength. The plot of Silkworm is interesting and holds your attention, but it is theatrical more than plausible, with a bit of over achieving on the part of the murderer. Still, it makes for fun reading, as good as any in this genre. In "The Silkworm," J.K. Rowling, aka Robert Galbraith, proves that she can write and develop characters in adult detective fiction just as magically as she did in YA fiction where the characters themselves were surrounded by magic. She captivated us through a 7-book series in Harry Potter. Now she/he has created detective Cormoran Strike and Robin, his assistant/protege wannabe. In this second book both Cormoran and Robin grow and become stronger, more mature, and more comfortable with themselves. 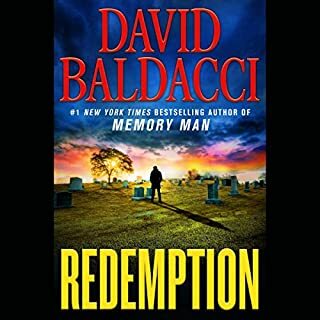 Along with the exceptional character development, "Galbraith" provides the reader with lots of characters who are quirky, to say the least, and a great plot which had me keeping up but not able to foresee the twists and turns. 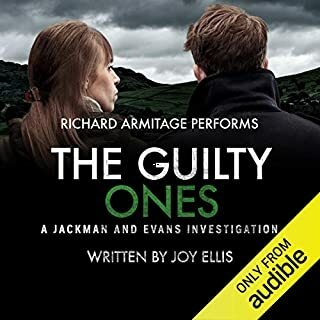 Robert Glenister takes the story and adds even more magic with his narration. He has settled into these characters and, despite a deep voice, he creates believable female voices. All in all, this was a wonderful listening experience. I can't wait for the next book in the series! This story was too gruesome for my taste. Just not my thing. Good author but hard to get through this book.